Professional teeth whitening offers results that are more consistent, more dramatic and longer-lasting than over-the-counter bleaching products. 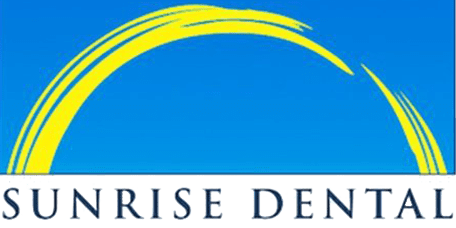 At Sunrise Dental of Renton, patients in Renton, WA, can opt for one-hour in-office whitening treatments or take-home whitening kits designed to provide superior results compared to store-bought products. What are the Main Causes of Teeth Discoloration and Yellowing? Several factors can cause or contribute to teeth stains and discoloration. The most common are tobacco products including chewing tobacco, cigars, cigarettes and pipes, and foods and beverages that contain dark or bright pigments, like coffee, tea, red wine, dark berries, and foods with artificial or natural food colorings. Energy drinks can also cause discoloration, and beverages and foods with high acid contents can make it easier for these foods and drinks to cause stains by temporarily softening the tooth’s hard enamel “coating.” These stains located on the surface of teeth can be treated with professional whitening. Discoloration that occurs in the center portions of teeth can be caused by some diseases, long-term use of certain medications, or damage to the tooth itself. Issues like these require veneers, crowns, or cosmetic bonding to hide the discoloration. In-office whitening usually is performed following a cleaning to ensure the tooth surfaces can absorb the gel consistently. A special mouthguard is used to hold the lips back from the teeth, then the whitening gel is carefully applied to the surfaces of the teeth and a special light is used to activate the gel to increase its effects. The entire treatment takes about an hour and provides dramatic results. How Do the At-Home Whitening Kits Compare to the Kits I Can Buy In a Store? Our take-home kits use strong whitening agents and custom trays designed to fit the contours of the patient’s teeth for results that are more consistent and longer-lasting than the results achieved with over-the-counter products. While over-the-counter products use a one-size-fits-all approach, our take-home whitening trays are made based on impressions of the patient’s teeth to help the whitening agent adhere more closely to the tooth surface. Will My Teeth Be Sensitive After a Whitening Treatment? Some patients find their teeth are somewhat sensitive following whitening with both professional and over-the-counter products, but sensitivity typically resolves within a few days or less. Having teeth professionally whitened can reduce the risk of sensitivity by ensuring small defects like tiny cracks are fixed prior to whitening and by using methods to reduce contact between the gums and the whitening agent.